This salad, which is best served warm, is perfect for the cooler months, but will work all year round. Roasting the vegies brings out the flavour and the combination of HELLMANN'S Mayonnaise, COLMAN'S Seeded Mustard and honey brings the sweetness to the dish. 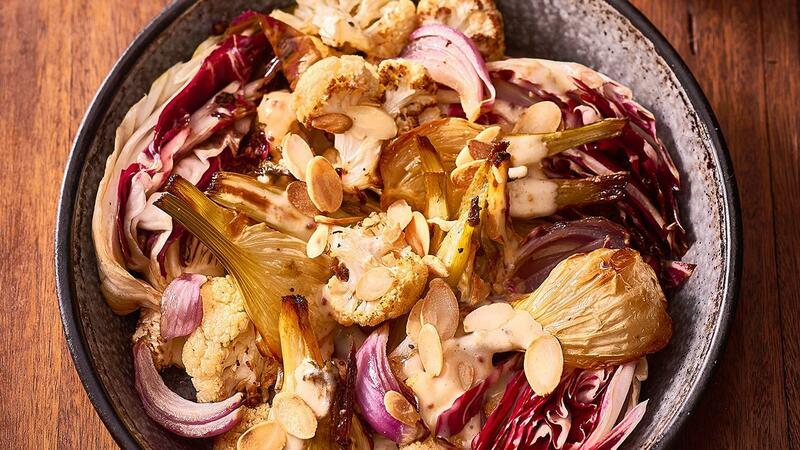 Roast cauliflower, fennel and red onion in oven for 35 minutes. Combine HELLMANN'S Mayonnaise, COLMAN'S Wholegrain Mustard and honey. Serve salad warm during the colder months.